Related to the spool, perhaps? r=1/theta. 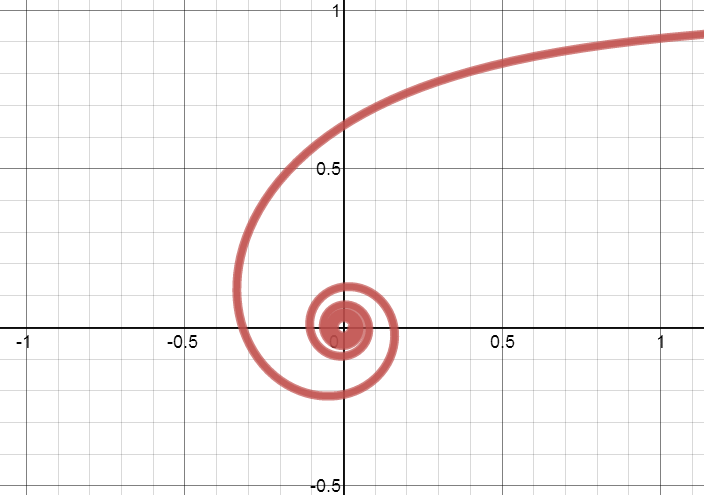 I knew that because the graph to be a spiral, one of the variables had to be angle measure. I used theta because theta is used to take place of an angle measure when the angle is unknown. I also noticed that the graphs radius was changing. I knew radius had to be the second variable. I played around with the numbers and variables until I found an equation that matched the graph.